I had the chance to visit Fiji in early December of 2013, and had a wonderful time diving as well as exploring on land. We stayed on Beqa Island, so the island itself is very rustic, and you can walk into the villages or do some day hikes near by. 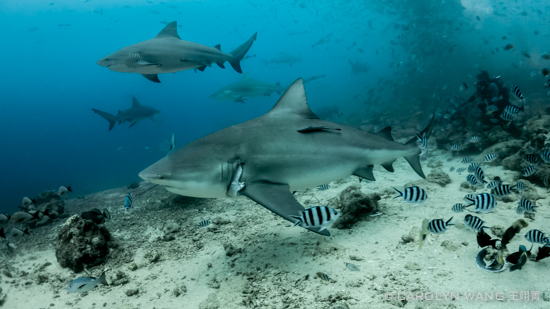 Diving was primarily done in the morning, and with 6 dives days, we scheduled two of those to be the famous bull shark feeding dive. No regrets! 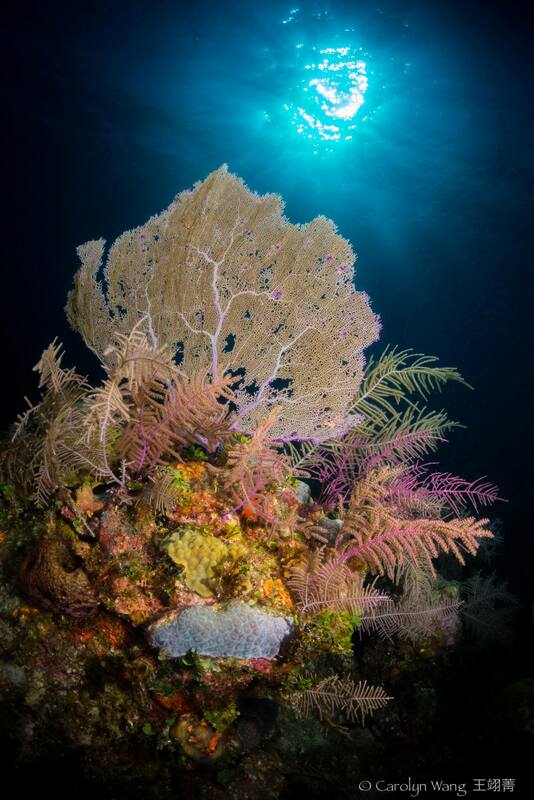 The reef dives were beautiful, with many soft corals for beautiful reefscapes, and very rich in color and life. For me, the highlight really was the ability to dive with bull sharks. 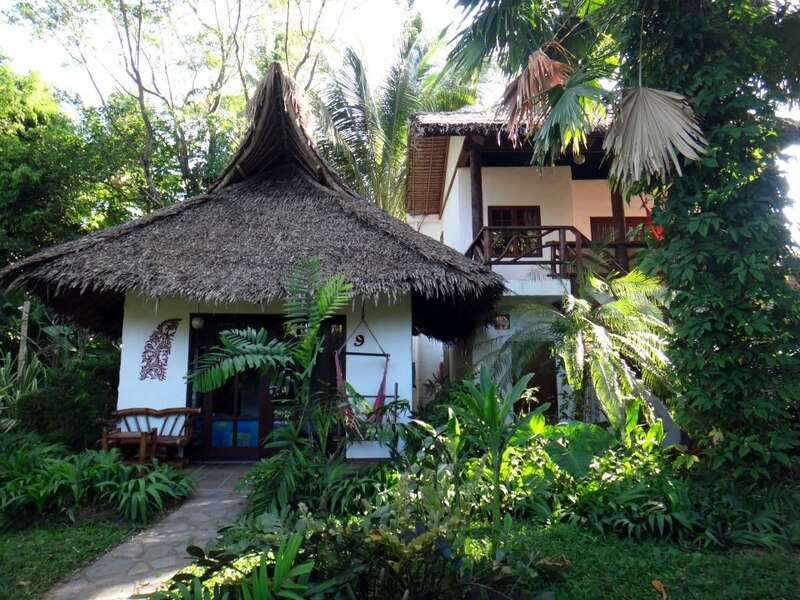 Our trips were organized through Beqa Lagoon Resort, and we were very happy with how professionally they were run. It was a wonderful opportunity to get to see these huge animals up close. Bring a camera ...any kind! You'll definitely want pictures or video! The weather was warm, in the 80s and water temps were 78-81 during our trip. You can also do some snorkeling and other activities like kayaking or jet skis around the island. We primarily dove in the mornings, came back for lunch and showers and then spent afternoons doing more topside or surface water activities, so Fiji is a destination that is friendly for non-divers as well. And last but not least, try the Kava, at least once. 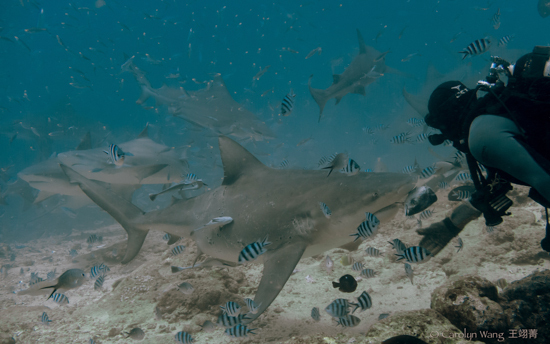 Malpelo is known to be frequented by schools of hammerhead sharks and Galapagos sharks, and depending on the season, you may also see school of silky sharks, whale sharks, white tip reef sharks, mantas, and if you plan for it, you can possibly see the very rare smalltooth sand tiger shark. I visited in February on an 11 day liveaboard with 7 days of diving. The highlights were schools of scalloped hammerhead sharks, Galapagos sharks, juvenile white tip reef sharks, free-swimming moray eels, eagle rays, massive scorpionfish, octopus, bustling cleaning stations, schools of jacks, pacific barracuda, leather bass and way too many other fishes to name. There were also many small fishes and critters resting on the reefs, but frankly, I was mostly focused on looking out into the blue for sharks. These shark interactions are all wild encounters, not baited or feeding dives, so you are seeing the sharks in the natural behavior patterns. The other thing that really struck me is just the sheer density of life at the island. 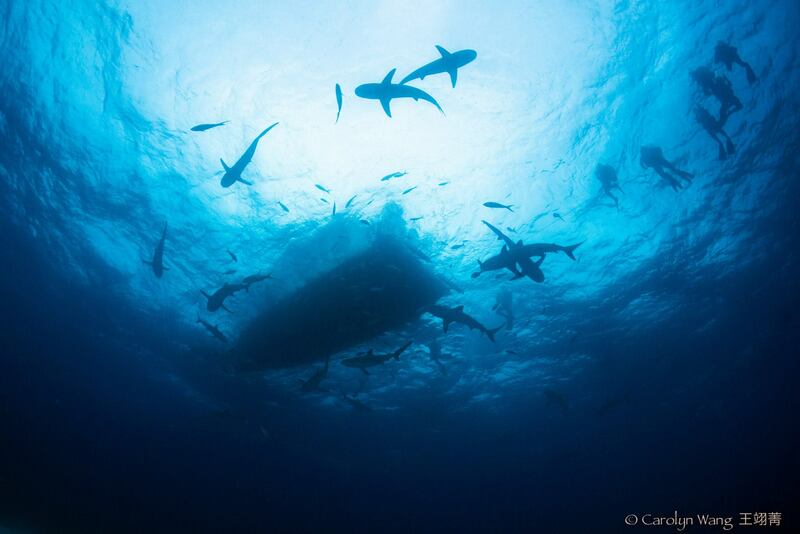 It was never just 1 shark, 1 eagle ray, 1 eel, 1 jack, 1 barracuda; everything was in large schools or multiples! 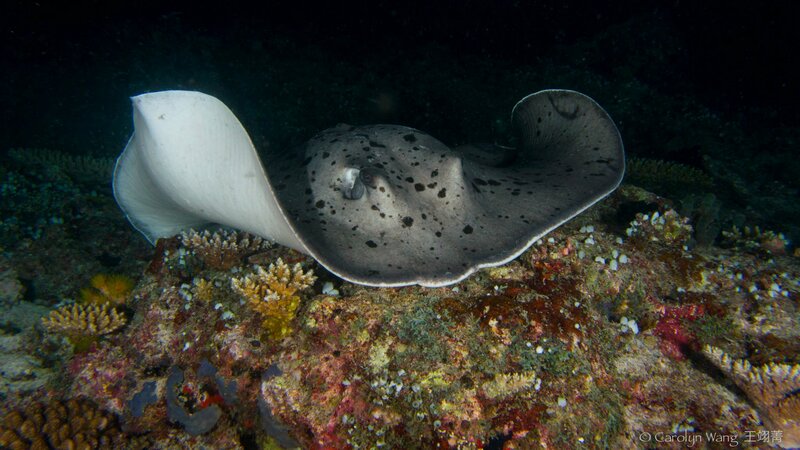 Some of my favorite dives sites were: The Fridge (La Nevera), El Altair de Virginia, Le Ferreteria, La Cara Del Fantasma. All of the dives are deep, and you will be dealing with very changeable conditions with strong currents, so you should be an experienced diver before coming to Malpelo, as well as having your nitrox certification to maximize your time in the water. And bring a camera (any kind!) as you will want to come home with photos or video of the incredible life! Because the island is uninhabited and literally is a rock coming out of the water, there really aren't any land based activities you can do topside, so this isn't a location I'd recommend to any non-divers or for people who get super antsy on boats. If you know this going in, just plan accordingly to keep yourself entertained on the boat (reading, napping, photo editing, sunbathing, Cards Against Humanity, poker, drinking, bring movies etc. Some people on our trip brought yoga mats and meditation pillows as well. I would absolutely visit Malpelo again, and if you love exploring unique places and photographing big fish and sharks, Malpelo should be on your wish list too. I visited the Maldives on a liveaboard in May 2012, an though it is a pricier trip, it was well worth it to dive the Maldives. Air temps were in the 90s and sunny almost the entire time, and water temps ranged from 80-83. Topside, it's gorgeous. We were greeted with the brightest blue sunny skies and aquamarine waters, that it was almost surreal. The islands all looked lush and dense with greenery, with beautiful sandy beaches. Since we were on a liveaboard, we only had a few opportunities to visit any of the islands, and on one occasion, the liveaboard had arranged to bring us to an island to see the sunset and they had setup a full BBQ cookout. It was a lovely way to spend the evening exploring the beaches and lagoons amidst all of our diving. Since it was a 7 day trip, we covered South Ari and the North and South Male Atolls. 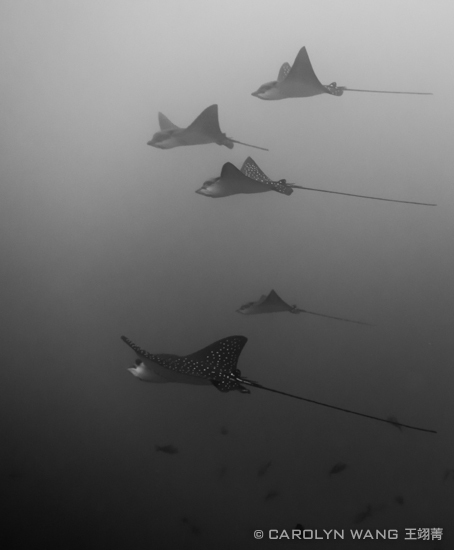 We regularly had 100 ft viz, though it was as little less on a few of the manta ray snorkels as we ran into pockets of plankton. I had my favorite night dive of all time here at Mayaa Thila. We saw so much life and behavior on this dive! Starting with a large sting ray, free swimming eels, eels hunting and going from crevice to crevice in the reef looking for sleeping fish, juvenile white tip reef sharks competing for food. 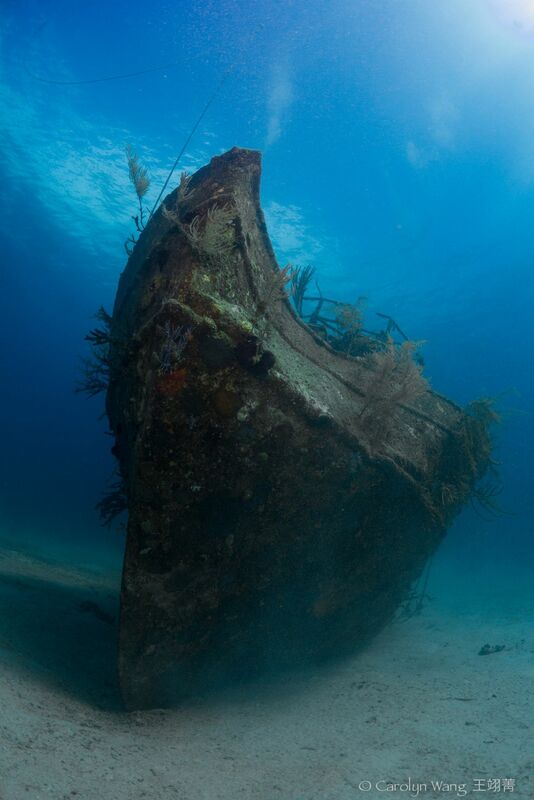 The Kuda Girl wreck was also a beautiful site. Home to amazing schools of fish, abundant invertebrate growth, and we also encountered a frog fish and two stonefish on this wreck. Some of the the other marine life highlights included a large nurse shark, turtles, titan triggerfish, and schools of triggerfish, and snorkeling with mantas and a whale shark. Though you could shoot macro on some of the dives, I probably spent about 80% of the time shooting wide angle as my preference based on the marine life. Dumaguete is a great dive location if you are really looking to maximize your macro opportunities in muck diving, and if you want a 'quieter' vacation, it's the place for you because you won't be located in the middle of a big party town. I visited on a group trip, and we chose to do a mix of diving between macro and wide angle Water temps were 79-82 degrees, with air temps in upper 70s to upper 80s, so I wore a 3MM wetsuit for most of the trip as I tend to get cold with us doing 4+ dives a day, and particularly with muck diving, you’re not moving a whole lot. For dive locations, we chose to dive the Dauin coast, Siquijor Island, and Apo Island. For macro, you will never lack for subjects. 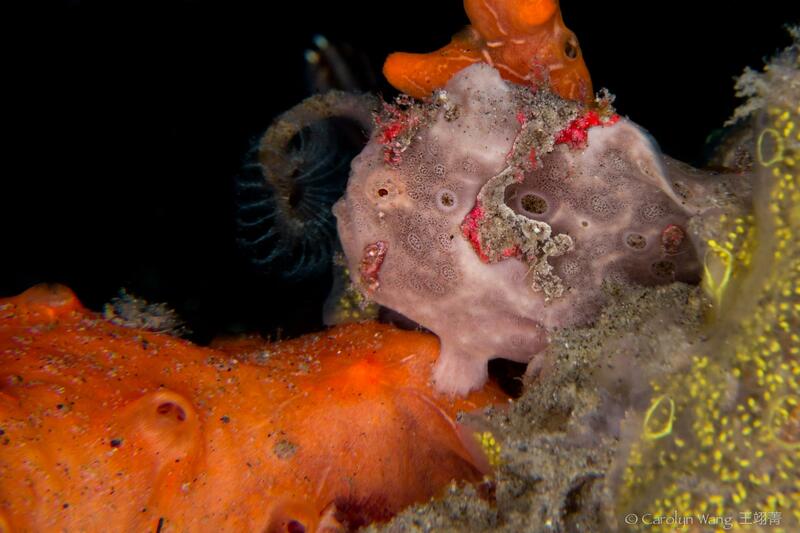 There was great muck diving and we were seeing frogfish of all varieties, scorpion fish, cuttlefish, nudies, ghost pipe fishes, mantis shrimp - and these were some of the most common critters we saw! We even saw a blue-ring octopus! Unless you're already well-trained and have developed an "eye" for spotting these subjects, you'll need the help of a good dive guide initially. 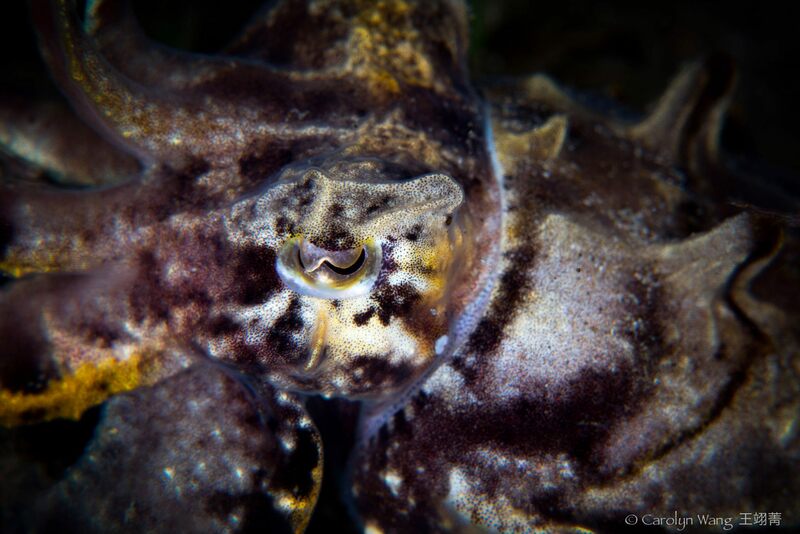 Our guides also gave us tips for how to spot spot of the macro subjects, which was really helpful since it was the first time diving in the Philippines for several of us. Giant frogfish and reefs were wide angle highlights there. For specialized dives we also opted to do the night dive to see mandarin fish matings. I found this to be probably the most difficult photography dive. Patience and fast reaction time was definitely key. It's close enough to Cebu, that our whole group also did a half day trip to Cebu to snorkel with whale sharks, coordinated though our resort. Other non-diving activities in the Dumaguete area included a visit to the Malapatay Market. The local market has a mix of food, handicrafts, and goods. There was also a livestock market. For nightlife, about half of our group wanted to be out every night, and the other was more into staying in. If you were motivated to go out, from your resort you can cab to the boulevard area which has multiple restaurants, bars and clubs and you could walk up and down the area to determine which one fit your preferences. I've dove with Stuart Coves in Nassau twice, the first time in December 2011, and I visited again in 2013. Stuart Coves is a dive operator, not a resort so there aren't room accommodations. They do have a large, well stocked main lobby, which houses the diver registration, cashiers, gift/dive gear shop, and they have some cold drinks. Outside there's a grill where you can purchase things like fresh grilled burgers, hotdogs, chicken or fish sandwiches for lunch. I highly recommend the cheeseburger! They are very well established in the area, and will arrange pick up and drop off of you/your party all around the island for your diving. They also handle many of the water excursions for cruise lines and hotels, like snorkeling, snuba etc. Considering how high volume they are, I was impressed at how well organized they were, and registration went quickly. They are not inexpensive, though frankly everything in the Bahamas feels more expensive than it should be, so it's not just the price of diving. I opted to do 3 days of diving on this trip: the 2 tank AM reef/wreck dives, and PM 2 tank shark dives and also the nitrox package. It's a better value if you can book a multi day package, or do all day dives. They will group you onto different boats by experience, so have your logs/dive counts handy. If you have divers of diff experience in your party, you'll have to go with the boat going to sites appropriate for the least experienced diver in your group. Most boats had a range of 14 to 26 divers on board. They typically do the first dive fully guided, and the second dive it's optional if you want to dive with the instructor/DM. They will also have a photographer and/or videographer come on the trips as well, so you can mug for the camera if that's what you're into, and they post the photos and video in their lobby/shop within minutes of the dive completion. 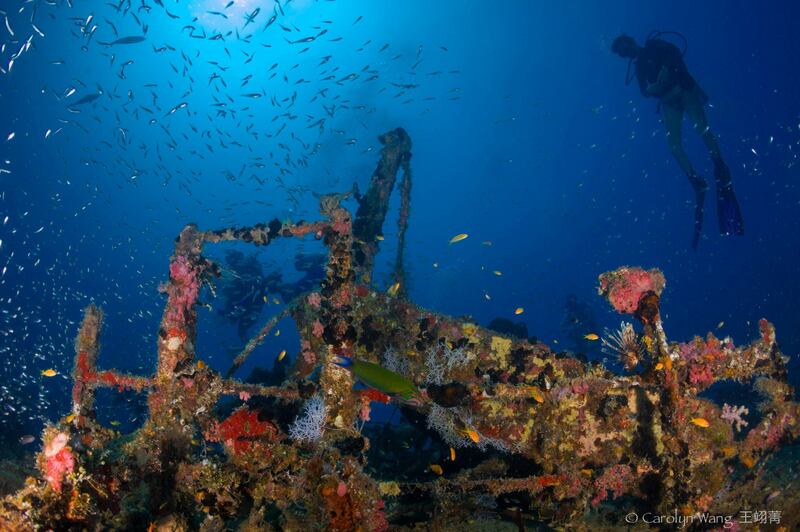 For reef and wreck dive quality, the sites were solid. 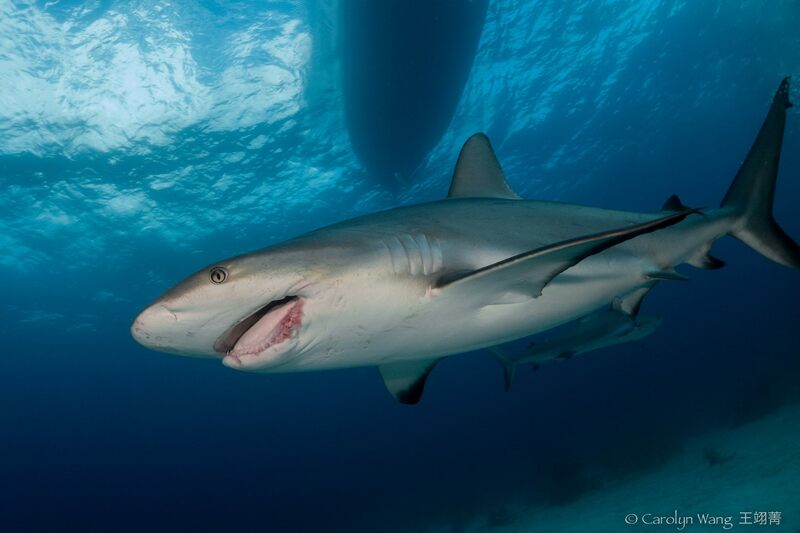 You will likely spot a Caribbean Reef shark or two even on these dives. Really the signature dive is their shark feeding dives. They do these as 2 dive experiences. 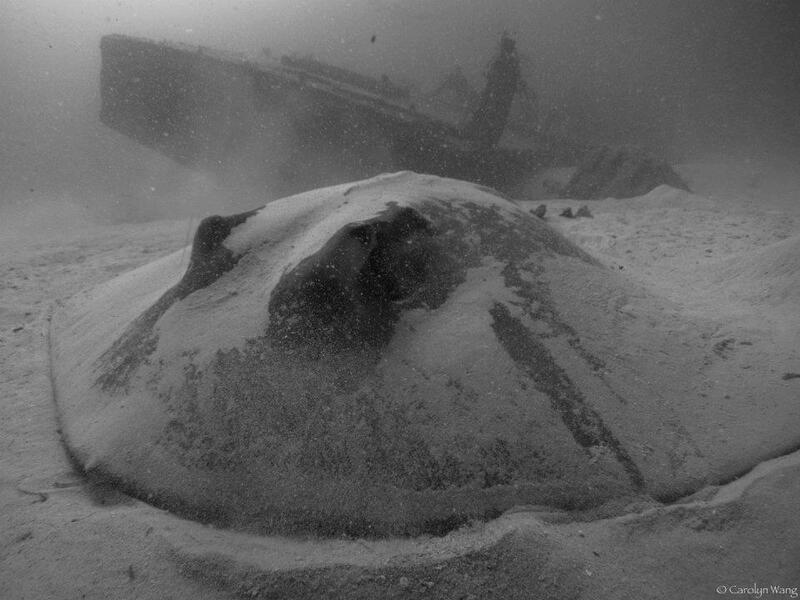 Both dives take place in the same areas, either their 'arena' in the sand, or sometimes they do it up on a wreck if there's a smaller group. 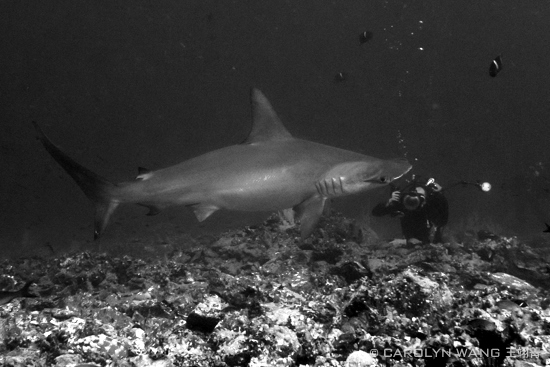 The first dive allows every one to check their weights, and to get used to seeing sharks in the water with us. The resident group of sharks will be nearby, even with no bait in the water. Dive 2 is the feeding. They have all divers enter the water and kneel in a larger circle around assigned 'rocks' to keep people from moving too much around. Once everyone is down, the feeder comes in with the bait box, and the sharks swarm to follow. The feeder is wearing full chainmail, and some wear helmets as well. Their will also be a photographer and a videographer on staff in the water. 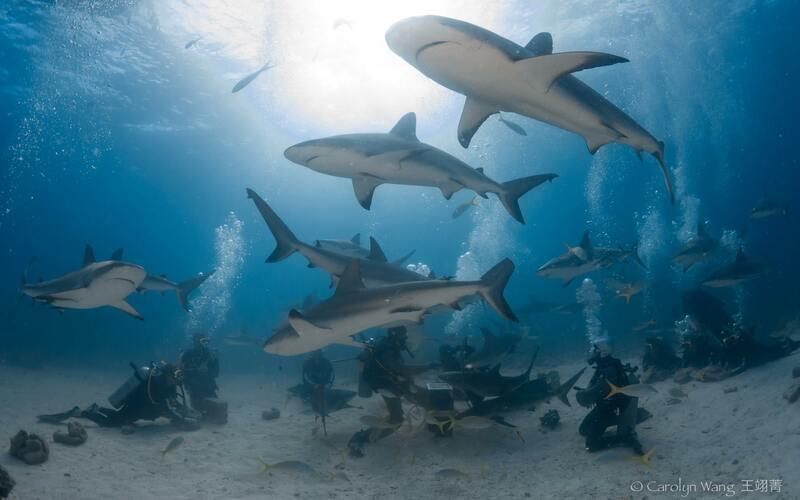 The feeder will move around the circle with the photographer and videographer flanking them so that there are maximum sharks around you during photo ops. Sometimes the feeder will also demonstrate putting a shark into tonic immobility. 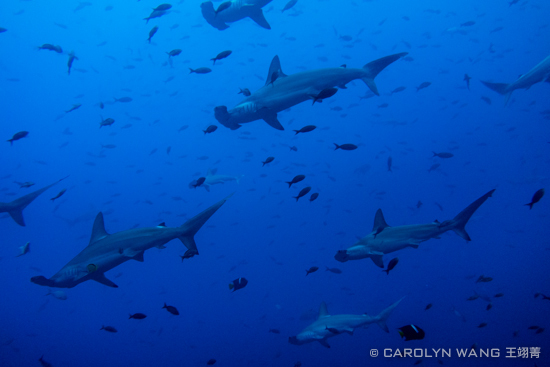 There were anywhere from 30-40 Caribbean reef sharks surrounding us during the height of the feeding activity. The sharks are very active, so be aware that at certain times, they will bump into you. 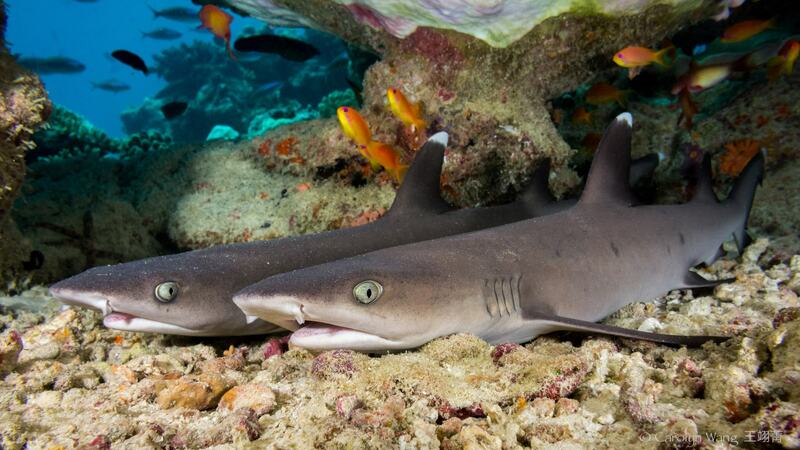 This is a very exciting dive if you want to see sharks up close. The Stuart Coves staff does an excellent job of making you feel safe, and preparing you during the briefing for what is to come. From a photography standpoint, if you are looking for feeding/frenzied shots, the feeding is where you'll get your maximum output. On this trip, I was aiming to get cleaner shots, so I focused more of my time shooting before bait was in the water. The sharks won't come nearly as close, but it's much easier to get a photo of shark and blue water vs. having a lot of divers in the photo in the background. I brought all of my own dive gear, and they have a rinse station and storage hanging area if you are doing multiple dives and want to store your gear there. Otherwise, they offer full rental equipment as well. There is also a set of outdoor freshwater showers and indoor showers/changing rooms on site. I recognized many of the instructor/guides and photograhy/video staff from my last visit there, and they were very friendly. Since I was doing so many dives over multiple days (most divers there are morning or afternoon, 2 dives only), they really let me have a lot of freedom in my dives since they knew I had my gear dialed in, and just wanted to be shooting photos. 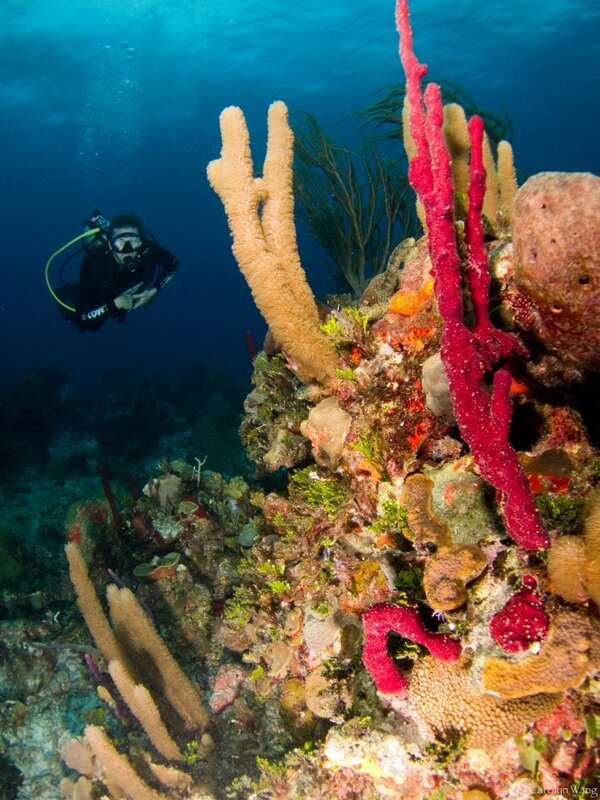 I would definitely recommend Stuart Coves if you are in Nassau and want to get in some diving. They were solid and well organized. Just be aware that they are a high volume operator, vs. a small 6-pack mom and pop operation. 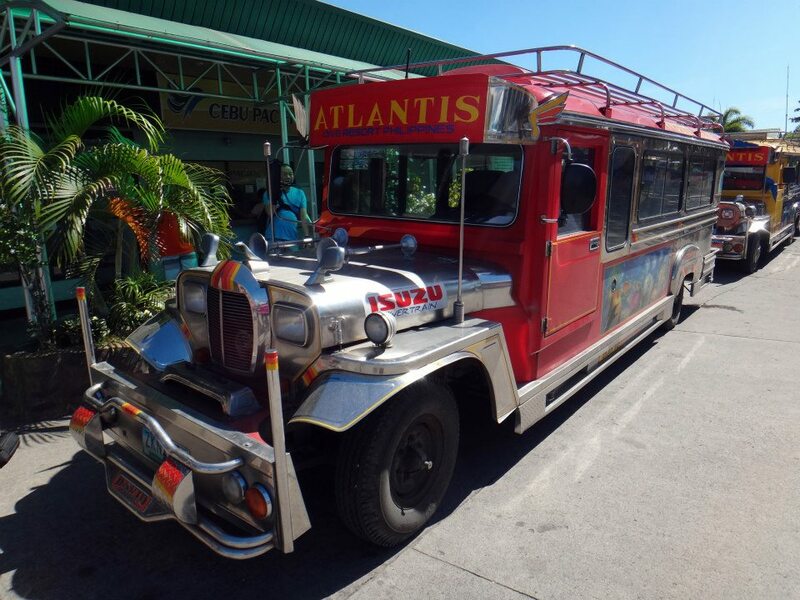 I had a great stay at Atlantis Dumaguete in early March 2013 on a group trip with 7 of us in total. When we arrived in Dumaguete, we were greeted at the airport by the friendly Atlantis staff, including Jess who would be our dive guide for the week. They quickly tagged up our luggage for us and loaded it on the bus for us and (everything would be delivered to our rooms) and we were whisked off to their bus for the ride to the resort. Once we arrived, we were greeted and introduced in the outdoor restaurant/bar by the rest of the staff, and welcomed with fresh coconuts and shoulder & neck massages while the manager greeted us and went over the resort briefing. This was a nice treat after the travel. For our departure, they not only took care of our transport from the resort to the Dumaguete airport, and also expedited our luggage check in at the airport. Our connecting flight was in Manila, and they also arranged for pick up at the domestic terminal and brought us to the international terminal. This sounds odd because you might think, how far can it be? However, we were surprised that you basically had to totally leave the airport grounds and re-enter in order to change terminals, so this service was a huge help. The resort was clean and well kept overall. There were several room types and we were in the rooms closest to the restaurant, office and dive center. We didn’t have any problems with noise even though we were arguably in a “higher foot traffic” area. Our rooms all had AC, ceiling fan, minifridge/bar, TV, single or double beds, closet, safe, and a desk and chair. The bathrooms all had sinks, standard toilet, and a shower stall. There was a small patio outside of the room with two chairs a table and a drying rack for clothes/gear. Our group ended up spending a lot of time hanging out on one porch or another, so for the next trip, we would likely opt for one of the connected rooms that have a larger shared living room or porch. I had solid wifi access in the room as well, with no noticeable outages. It was strong enough that I could manage some Skype calls. If you tend to be a tasty mosquito magnet like me, I'd recommend bringing some sort of deet based insect repellent. It would be difficult to avoid them altogether in the local climate, and they weren't a major problem and I was fine as long as I wore repellent. There is also a resort pool that we used a handful of times (mostly because we were diving so much), and their Spa. We all probably had at least 3 massages each during the week of our stay. They offered a variety of treatments, though I typically opted for deep tissue. It’s a great way to end a dive day! Their front office was connected to their gift/dive shop, and located just across from the restaurant/bar and dive center. The office staff was always super friendly, and you could also leave your room key with them while you were diving, or if you were going offsite for an excursion or out in town. The gift & dive shop had a variety of goods. On one side, they had dive gear items like wetsuits, rashguards, masks, muck sticks etc. On the other side, you could purchase local jewelry, hats etc. We had 3 large excellent meals/day, and they often had fresh cookies or other snacks ready for us for when we got back from diving in the afternoons. The days’ menu options are posted near the restaurant entrance, and someone from the restaurant staff is typically there to take your order as you’re walking in. On a day with closer dive sites, you’d have breakfast, then do 2 dives, come back for lunch and then do another 1-2 dives. In instances where the dive sites were farther away, a member of the restaurant staff would come on the boat with us and they would have an amazing buffet meal and fresh bbq for us. For drinks, water, coffee, tea, juices included are typically included, with alcohol and sodas extra. They have a bar in the restaurant area, and we had a great time hanging out there, and meeting a few of the other resort guests and groups. Oh, how I love their camera room. Air conditioned (so low humidity), with multiple work stations that essentially became “yours” for the week of your stay. 3 of us had still camera set ups and our other friend had had a full video set up, so we were THRILLED to have this room. Each work station was spacious and had its own power strip, air hose, work table space, stowage shelves and space underneath. As someone who often ends up having to commandeer much of my resort or live aboard room for dealing with my camera gear, it really made assembling, prepping, charging, and storing it so much more pleasant! 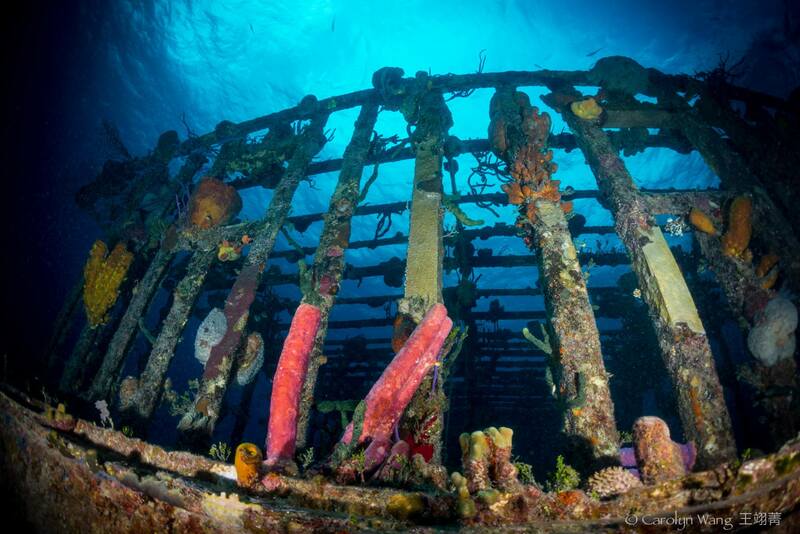 The room is securely locked at night, and opened again before bfast begins so divers can access their gear. 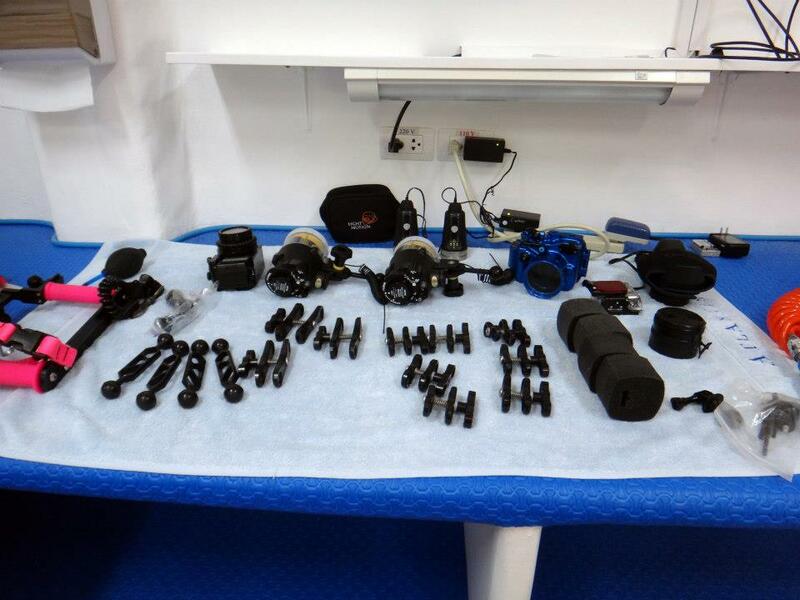 Once you set up your BCD, Regulator and weights the first day, you basically don’t need to touch them again all week. The staff loads and unloads them from the boat, and rinses them daily. The dive center has a briefing area and also a storage/hanging room where each person is given a large cubby for personal gear (boots, mask etc) and space for you to hang up your wetsuit to dry. There’s also a freshwater shower and several large rinse tanks for gear and a separate one for cameras. If you’re diving nitrox, you can also analyze and log your tanks for the next day after you finish up your afternoon dives so they are ready to go. Our lead guide all week was Jess, who was great fun. He had a good sense of humor, and made us feel very safe in the water. They would usually start the dive day with a dive site briefing and they had maps drawn out for each dive site. We’d then walk/wade out to our boat for the day for the morning dives. They had two smaller boats for closer dive sites, and a larger one for the farther sites. For boat entry, there is no dock with how changeable the tide levels can be. You’d usually walk into the water and then each boat would have an inclined ramp to climb up. They always had dive/boat staff assisting us. Since you are wading in the water and on some days the waves are kicking up a bit, I would highly recommend bringing a waterproof bag for any dry gear on the boat. Typically I’d wear/carry my wetsuit, mask, fins, dry bag and camera. We chose to do a mix of diving between macro and wide angle. Water temps were 79-82 degrees, with air temps in upper 70s to upper 80s, so I wore a 3MM wetsuit for most of the trip as I tend to get cold with us doing 4+ dives a day sometimes, and particularly with muck diving, you’re not moving a whole lot. For macro, you will never lack for subjects. 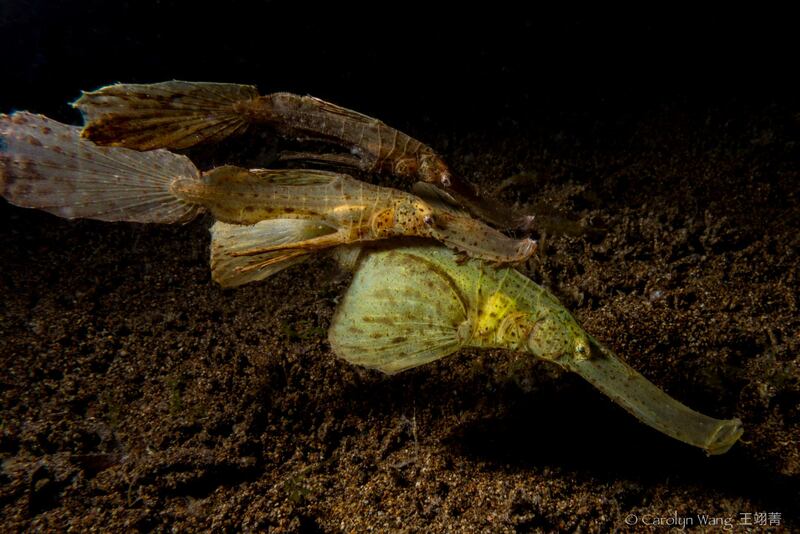 There was great muck diving and we were seeing frogfish of all varieties, scorpion fish, cuttlefish, nudies, ghost pipe fishes, mantis shrimp - and these were some of the most common critters we saw! Jess and our other guides were great at spotting items for us, and since we were diving with our group, once one of us finished with a subject, we’d often go tap another friend to let them know where it was. They also gave us tips for how to spot spot of the macro subjects, which was really helpful since it was the first time diving in the Philippines for several of us. Giant frogfish and reefs were wide angle highlights there. 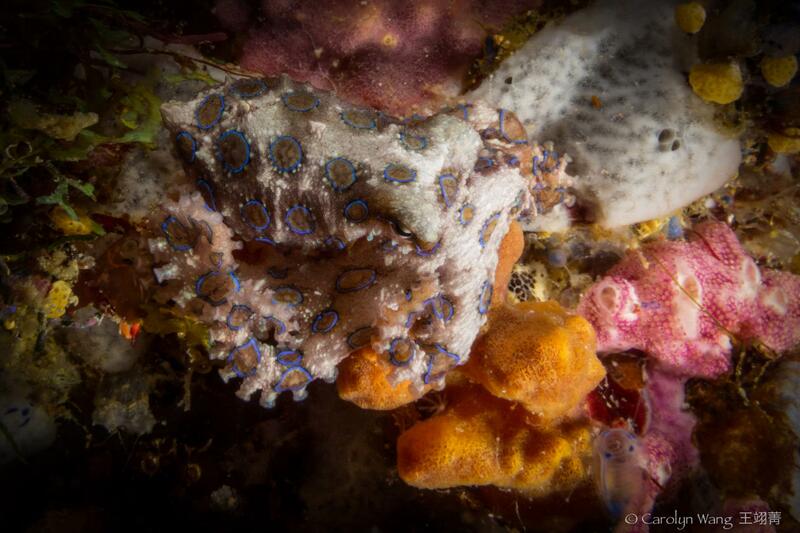 For specialized dives we also opted to do the night dive to see mandarin fish matings. I found this to be probably the most difficult photography dive. Patience was definitely key. There was also a fluoro night dive that 3 of us opted to do where they provide the UV lights and goggles. This dive was on the house reef, and it was cool to get to try it out as I don’t often night dive in California and hadn’t experimented with one of the UV lights before. I didn’t bring my still camera for this dive, but I did take an extra pair of the filter goggles that I had fit onto my GoPro as a makeshift filter and was able to shoot some video footage from the dive. Our whole group also did a half day trip to Cebu to snorkel with whale sharks, coordinated though Atlantis. 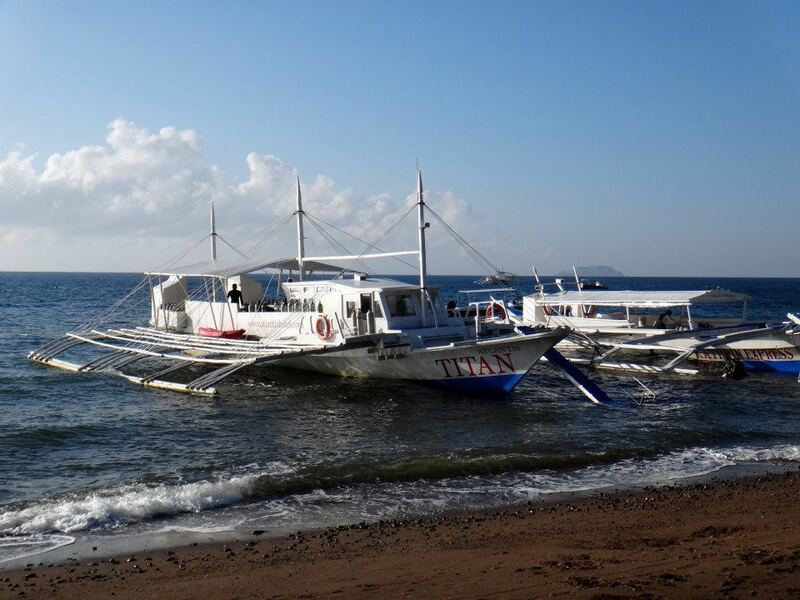 The resort bused us to a ferry boat that carried us and the bus across to Cebu and we drove from the port to the snorkel landing. In Cebu, they gave us a briefing about what distance to keep from the whale sharks and then carry you out in a canoe to a shallow cove within site of shore (~40 ft deep) where the whale sharks come in to feed. There are other staff there in canoes as “feeders” who are dropping krill into the water. 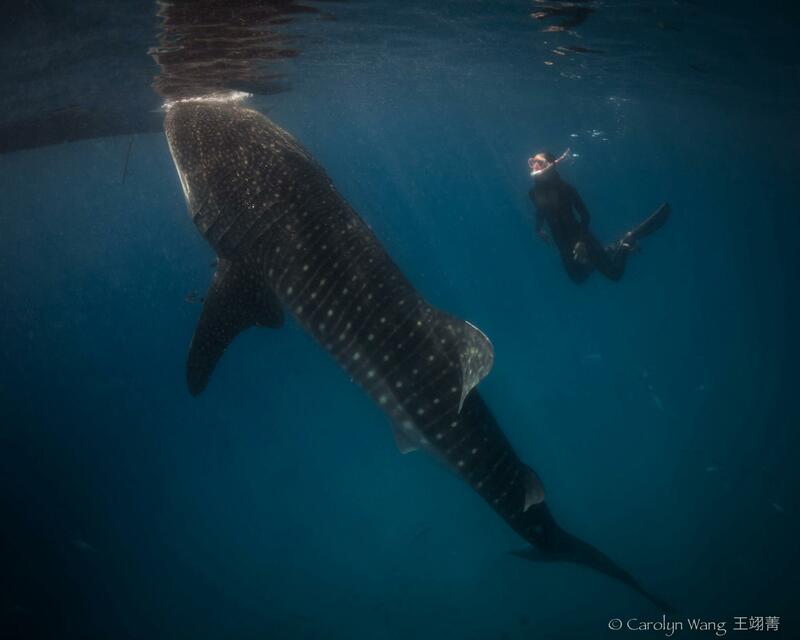 While I know some people don’t support the feeding of the animals, my personal experience here was that the whole experience was much more relaxed and for me as a snorkeler, and seemingly for the whale sharks as well vs. other experiences I’ve had. 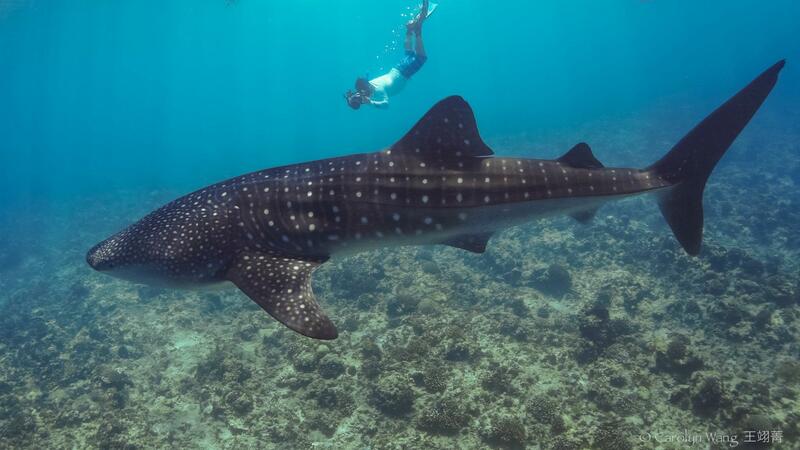 For example, on a trip in the Maldives where we were hoping to see a whale shark, there must have been close to 100 people in the water as several liveaboards convened on the one lone whale shark that was spotted. It looked like a massive water rugby match at the surface with all these people chasing this one shark, and there were also scuba divers below it. Many in our group decided not to go in the water at all, or jumped in for a few mins and quickly got out because it was so hectic. It really seemed stressful on the one animal, who was trying to swim away, but was surrounded on all sides. By contrast in Cebu, there were 10-15 whale sharks at any given time who were calmly snacking, and not trying to swim away. The feeder canoes spread out so there was room around each shark, and the canoe guides carrying us out did the same to spread out the snorkelers. For photography, the obvious benefit is that this gives you A LOT of opportunities and time with the animals. It also means was fairly easy to get a shot with a dive model if you wanted to direct one to swim into the shot, or to get a clean shot without people in it if that was your goal. We had over 90 mins in the water (we only got out when we all felt like we’d had enough) and everyone in our group was really happy with the experience. The Atlantis staff also brought a full lunch for us, so we ate a nice meal before getting back on the bus for the return trip. We did a half day excursion in the middle of the week to have some dry time to the Malapatay Market. The local market has a mix of food, handicrafts, and goods. There was also a livestock market. Some of the staff accompanied us here, and brought a full family style lunch for us. For nightlife, about half of our group wanted to be out every night, and the other was more into staying in. For outings, you can arrange van transport through the resort and the driver would wait for you while you were out, or you could take cabs back if people in the group felt like returning later/earlier than others. There is also a 24 hour guard at a gate into the resort, so again you can also leave your room key with them if you don’t feel like carrying it while out on the town, and just pick it back up when you return later that night. The boulevard area had multiple restaurants, bars and clubs and you could walk up and down the area to determine which one fit your preferences. What I would say is that if you want a quiet night, it’s very easy to stay at the resort and relax there. If you’d like to go out though, definitely ask the staff! They’ll give you some good recommendations, and to be honest it was nice to have them with us on some outings because they really know the city. Can’t say enough nice things about everyone on the staff there. We arrived around lunch time and by dinner, they all knew us by first name. They were all incredibly welcoming, friendly, attentive, and you felt very taken care of for your entire stay. They all seemed to really enjoy working there as well. The staff members don’t accept individual tips. If you are happy with the service during your stay, you can donate to their Christmas fund, which they split with everyone.